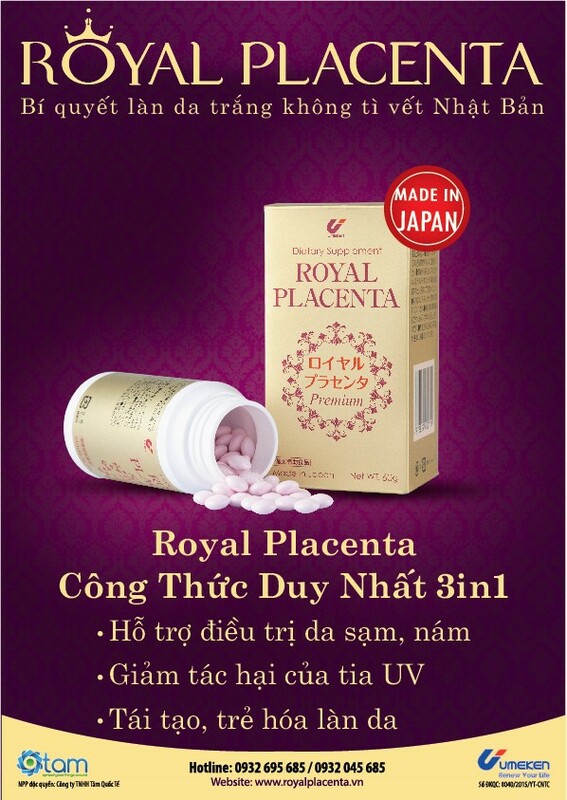 Royal Placenta was officially appeared in Vietnam market in Jun 2015, helped Vietnamese women have white skin overall with 3-in-1 unique formula. Use placenta extracts, European materials, 100% made and packed in Japan. 3-in-1 unique formula in the market: Placenta – Hyaluronic Acid – Chlorella. A product of Umeken, a trusted brand for a majority of Japanese household and is the permanent supplier of functional foods for Japanese royal family through generations.